A provocative, attention grabbing conversation starter of a campaign for Rimmel London. Mascara is seen as an essential item by women – according to boffins, +50% of women would choose mascara if they could only use one makeup product. It’s a product women feel naked without. We set out on a mascara mission, to save the world from ever having to have naked lashes again. Thanks to Volume Colourist, with or without mascara, you need #NeverGoNaked ever again. Running throughout our phased approach were two core themes; “I’d rather _____ than go naked!” which established the insight that women see mascara as an essential product and ‘That moment when...’ which tapped into an existing trending hashtag #tmw to illustrate the product benefits. The two themes and the range of content and influencers positioned the product in a way that the core demographic could easily relate to. I’D RATHER _______, THAN GO NAKED! We selected 3 influencers to build excitement; Fashion Mumblr’s Josie, Megs from Wonderful You and Blogger Zoe Newlove. Each influencer published a video teaser on their own social channels stating what they’d rather do than go naked with their lashes, using the hashtag #NeverGoNaked and posing the same question to their own fans, incentivising them with a Rimmel London goodie bag to increase engagement. Playing on the existing trending hashtag #tmw [that moment when], we created a series of split screen videos. 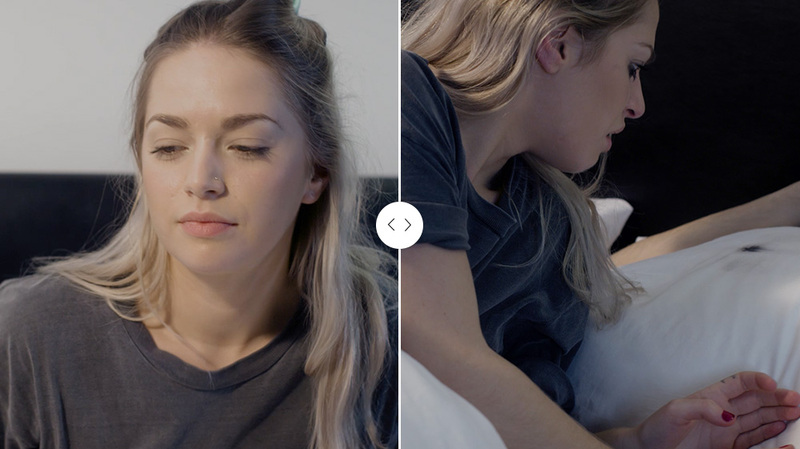 The series of on-brand short story videos, each take a dramatically different turn, based on whether our character has got tinted lashes from Volume Colourist or not. Each story was produced with two versions - one with tinted lashes, and one without, with an interactive slider to switch between the two variations and see how the story plays out! Ever woken up after an amazing night out in bed with the guy of your dreams… then to discover your mascara has smeared all across his crisp, white pillowcases! Been checking out the guy in the gym? Eager to impress? Don’t let your mascara be the thing that holds you back. We collaborated again with our social influencers, Megs from Wonderful You and blogger Zoe Newlove, to show the results obtained after using the product for a period of 3 weeks. 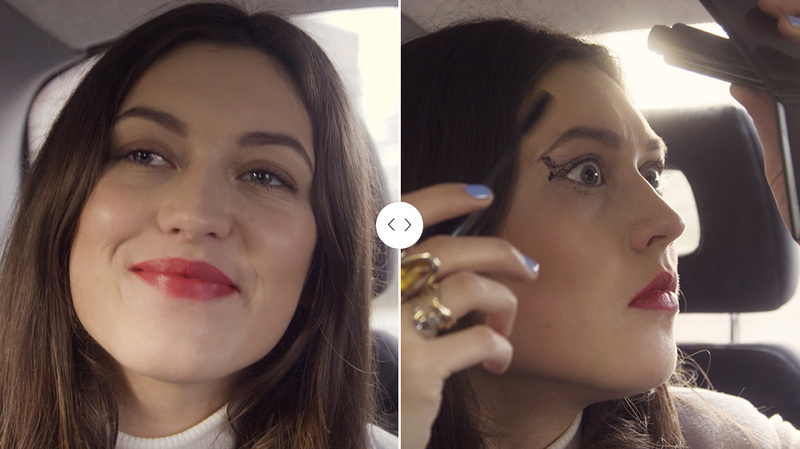 Zoe showed fans how to create her Sunday morning makeup style. Highlighting her tinted lashes after 3 weeks of using the product. The look was centered around amplifying natural beauty, hiding imperfections and amplifying your look for a fresh faced start to the day. Megs from WonderfulYou showed fans the great makeup look achieved by using the product. Creating a evening wear look for a femme fatale, bond girl inspired makeup look. Showing how the product can transform you into the vamped up beauty, ready for a night out. To shoot the ‘That Moment When’ stories we created 6 full videos, 2 for each story, enabling us to show the alternative timelines seamlessly side-by-side in the final campaign videos. The shoot was in 3 strategically chosen locations around Central and West London meaning we could capture everything we required over just 1.5 days.